Turmeric, honey and coconut aside, the most important cat food trends for 2019 might be "functional" foods or treats containing ingredients that serve a purpose. Treats that help with mobility issues or cleaning a cat's teeth have been available for a long time. And Tiki Cat and Cats in the Kitchen wet food with pumpkin to improve GI health have been on the market for several years. 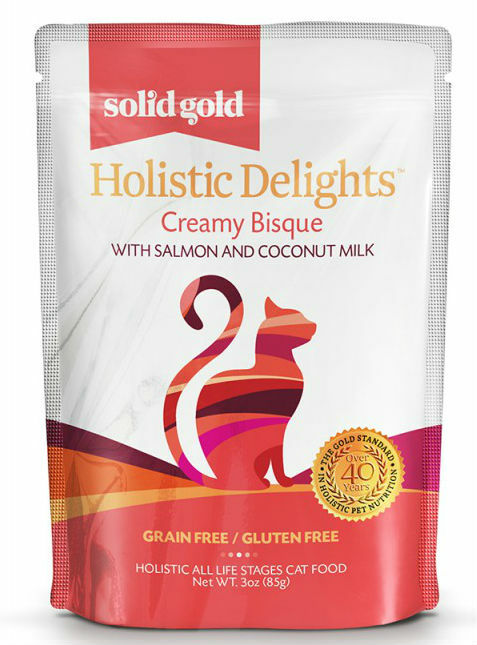 Solid Gold has wet food with coconut milk or oil mentioned prominently on the package. But manufacturers are now adding pre- and probiotics to food to aid with digestion, CBD to treats to help with inflammation and stress, and other functional ingredients. Some of the products can replace prescription food you'd get from your vet. Adding turmeric, coconut oil or milk and honey to cat food isn't exactly new. 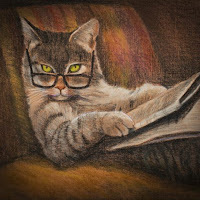 The news is that they will soon be leaving their places buried in the ingredients lists on cat food packaging and moving to the fronts of cans and bags where shoppers who are looking for them can spot them easily. So why would you want to tap into these new cat food trends? Turmeric is said to act as an anti-inflammatory, relieve arthritis pain, help with GI problems and provide allergy relief. It's also said to serve as a steroid replacement, but I'd consult a holistic vet before trying that one. Coconut promotes healthy skin and coat and can improve digestion, increase energy and promote thyroid health. It's also said to have superfood benefits. Honey has anti-microbial/anti-fungal properties, can help with allergies, and can serve as an anti-inflammatory and appetite stimulant. It's also a natural sweetener, but cats don't taste sweetness. My cats aren't the most adventurous eaters, and I'm not at all sure they'll go anywhere near food that contains turmeric or honey. Food with pumpkin or coconut milk were nonstarters for them. Which just goes to show that some cats care more about the tried and true than the latest trends. Oh, and here's a tip. If you think your cat would benefit from pumpkin. you can buy canned pumpkin (not the pie filling) or pumpkin baby food and mix it with a bite of meat baby food. You can also buy coconut oil for cats. One brand even includes turmeric.